In the past week, mart managers have reported smaller sales taking place across the country. The smaller entries of cattle have, in some cases, led to better clearances and higher prices. However, these improvements in price have been very small in the grand scheme of things. The smaller numbers present at the marts may be down to the recent spell of bad weather in some regions. This week, processors are currently offering base quotes of 390-395c/kg for steers and 400-410c/kg for heifers. In some cases, prime cattle prices have fallen for the third consecutive week and 15c/kg has now been knocked off base prices in 21 days. Similar to the first week of 2018, quality cattle have achieved the best prices. However, plainer cattle prove to be a more difficult trade. Again, continental stock are popular, while dairy-origin cattle remain at poorer prices. Steer prices remain steady and good-quality bullocks are in demand. On the other hand, heifers prove to be the easiest to sell, while demand for cull cows has increased in some marts. Some 350 cattle were presented for sale at Castlerea Mart, Co. Roscommon, on Thursday (January 18). The trade was reported as firm. Good-quality stores, in particular, proved to be very popular, while weanling heifer prices improved by €20-30/head on the previous week’s sale. Weanling bulls also met a lively trade. Limousin bull: 295kg – €805 or €2.72/kg. In the steer ring, bullocks were also reported to have sold well and a high clearance rate was achieved on the day. Aberdeen Angus bullock: 520kg – €1,105 or €2.12/kg. According to the mart’s Brendan Egan, young Friesian bull calves traded for €117-170/head, while continental type calves made up to €370/head. Stronger continental runner lots traded for €350-705/head. On the day, springer cows traded for €870-1,550/head, while dry cows achieved good clearances. Friesian: 625kg – €1,040 or €1.66/kg. 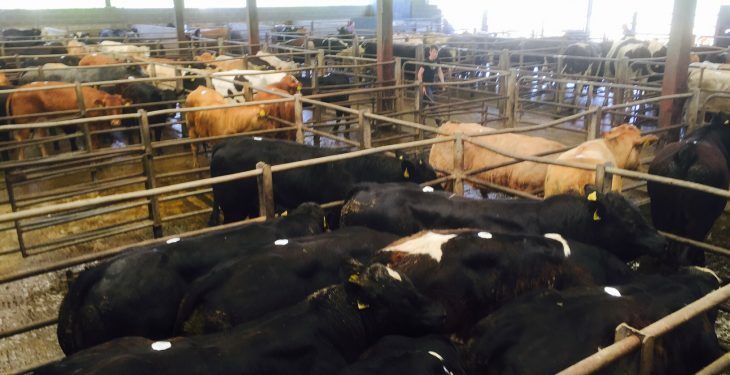 Some 600 cattle went under the hammer at Ennis Mart on Thursday last (January 18). There was a large entry of cull cows at the sale – both continental and Friesian types. 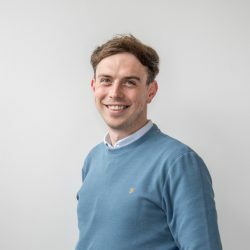 Again, similar to previous weeks, a very strong trade for forward stock in all categories was reported by the mart’s Danny Moran. Hereford: 525kg – €1,080 or €2.05/kg. A number of aged bulls were also on offer. These lots traded for €1.55-2.31/kg. Hereford: 432kg – €845 or €1.95/kg. In addition, of the 600 cattle presented for sale, approximately 50% of these animals were cull cows. Friesian: 730kg – €1,150 or €1.57/kg. 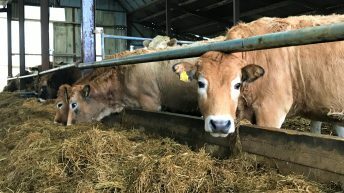 Last Thursday’s sale in Raphoe Mart, Co. Donegal, featured a smaller entry of cattle due to inclement weather conditions, according to the mart’s Anne Harkin. The trade, she said, was similar to weeks gone by, with good-quality cattle proving popular. Factory agents, feedlot buyers and farmers all made their presence felt ringside. On the day, store cattle proved to be very popular. Beef bullocks made €795-1,070 over and lighter store steers sold for €520-710/kg. Beef heifers made €500-820 over and store heifers traded at €350-695 over or €2.10-2.70/kg. Fat, well-fleshed cows sold at €700-1,355/head. The first sale of 2018 kicked off at Kilrush Mart, on Wednesday, January 17. 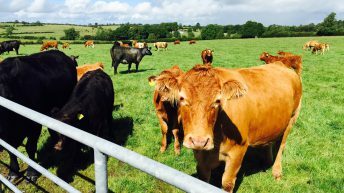 All categories of stock were reported to be in demand, with cull cows – in particular – proving popular. Limousin: 250kg – €685 or €2.74/kg. Friesian: 465kg – €875 or €1.88/kg. Martin McNamara, the mart’s manager, noted that a 100% clearance rate was achieved on the day. Limousin: 540kg – €1,160 or €2.14/kg. 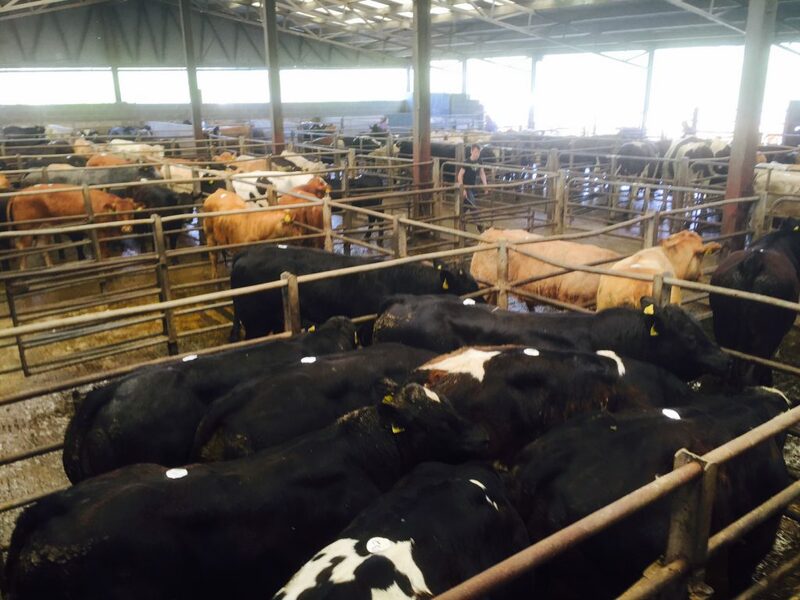 A large cattle sale, consisting of 750 animals, was witnessed in Kilkenny Mart, Cillin Hill, on Thursday last, according to the mart’s George Candler. A 100% clearance rate was recorded in the cull cow and heifer section. However, trade was reported as slow for lighter store heifers – especially Aberdeen Angus and Hereford-type animals. Friesian cull cows traded for €0.75-1.80/kg, while continental types sold for €1.25-1.85/kg. Quality heifers also met a good trade. The heavier lots made €1.80-2.45/kg, €1.80-2.50/kg was paid for the forward store lots and the lighter store classes (<400kg) made €1.60-2.81/kg. Limousin: 270kg – €760 or €2.81/kg. In the steer ring, George said, the trade was difficult for Friesian and traditional breeds. However, continental store lots achieved the highest prices. Aberdeen Angus: 285kg – €570 or €2/kg.